Auto insurance is intended to cover the unexpected (and often sizable) expenses that can result from a car accident or theft. 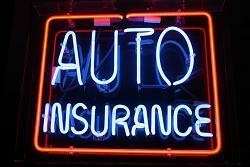 However, there are many different types of auto insurance, and few policies cover every potential expense. Gap insurance – There’s often a gap between the amount an insurance company pays if your car’s totaled and the true dollar amount needed to pay for the car. Gap insurance covers the difference, ensuring that money doesn’t have to come out of your own pocket. Collision insurance – All states require drivers to carry liability insurance, which covers any damage you may cause to another vehicle in a collision if the accident’s your fault. However, liability insurance doesn’t cover the damage to your own vehicle. For that, you need collision insurance. Uninsured driver insurance – If a collision isn’t your fault, the damage is supposed to be covered by the other driver’s mandatory liability insurance. In case the other driver is illegally uninsured or has coverage limits that don’t match the value of your car, you’ll want your own insurance to cover the damage. Comprehensive insurance – You don’t have to hit another vehicle to damage your car. You could hit a tree, for instance, or have a tree hit you. Collision insurance doesn’t cover such accidents, but comprehensive insurance does. Personal property insurance – If items such as purses or laptops are stolen out of your car, or if your car is stolen with such items in it, auto insurance will only cover the damage to the car itself. To cover the valuable personal property you carry around, you’ll need to include it in your homeowner’s or renter’s insurance. You’re less likely to face unexpected expenses when leasing a car. Besides the car being covered by warranty and the fact that you don’t technically own the vehicle, leasing companies usually ensure that you get the right auto insurance and avoid costly holes in the coverage. To learn more, contact us at Swapalease.com. This entry was posted in Car Insurance and tagged buying a car, collision insurance, comprehensive insurance, insurance company, insurance rates, leasing a car, uninsured drivers by admin. Bookmark the permalink.